Get your dinner while it’s hot! Well, not really, but you know what we mean. 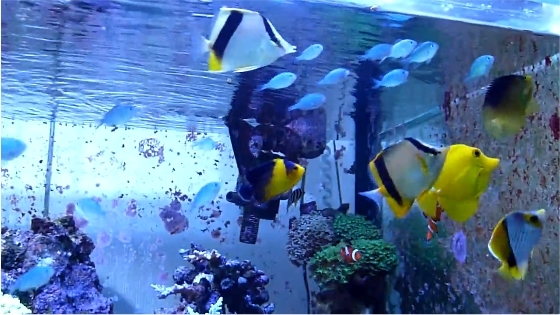 Here’s a high definition video of a feeding frenzy in this beautiful reef tank.